Artigo aceito para publicação - "Bayesian Extensions to Diebold-Li Term Structure Model"
A artigo "Bayesian Extensions to Diebold-Li Term Structure Model", realizado em co-autoria com o Prof. Luiz Hotta, foi aceito para publicação no International Review of Financial Analysis. Esse foi o primeiro artigo a ser feito na minha tese de doutorado, e o terceiro da tese que é publicado. Agora é trabalhar para que os demais artigos da tese sejam publicados também. Esse faz parte de um projeto de longo prazo de pesquisar em modelagem em insurance, que é uma área muito interessante, bastante técnica e com vários áreas com problemas interessantes. 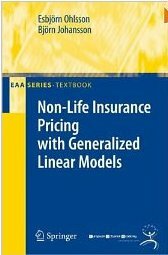 Livro excepcionalmente bem escrito sobre uso de GLM em precificação de insurance claims. 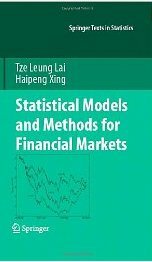 Statistical Models and Methods for Financial Markets - Tze Leung Lai e Haipeng Xing. 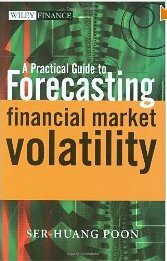 Um bom livro para um curso de métodos estatísticos em finanças, e que complementa bem o clássico livro do Zivot e Wang e outros livros sobre econometria de finanças. Bons capítulos sobre métodos não-paramétricos, volatilidade implícita e estratégias de trading. Idéia é também servir como referência de cursos. Esse livro é parte das referências para o curso no mestrado do Ibmec-Rj que estou oferecendo sobre modelagem de volatilidade. O diferencial são algumas seções sobre avaliação de previsões de volatilidade e modelos de volatilidade implícita, além de ter um foco mais prático que teórico. Nunca tive um período tão tranquilo para trabalhar em pesquisa desde a chegada ao Ibmec Rio. Nesse perído ja finalizei uma revisão de artigo, deixei uma outra bem adiantada e consegui trabalhar bastante em outra mais complicada. É quase inacreditável ter o dia todo para pensar somente em pesquisa. Sem igual. Since zero-coupon rates are rarely directly observable, they have to be estimated from market data. In this paper we review several widely-used parametric term structure estimation methods. We propose a weighted constrained optimization procedure with analytical gradients and a globally optimal start parameter search algorithm. Moreover, we introduce the R package termstrc, which offers a wide range of functions for term structure estimation based on static and dynamic coupon bond and yield data sets. It provides extensive summary statistics and plots to compare the results of the different estimation methods. We illustrate the application of the package through practical examples using market data from European government bonds and yields. Excelente análise de modelos de ajuste da curva de juros. Em especial eles tratam corretamente dos problemas de identificação na estimação de modelos da família Nelson-Siegel-Svensson, além de constribuir com todos os algoritmos e programas. Arnold Zellner, a leading economist at the University of Chicago Booth School of Business who pioneered the field of Bayesian econometrics, died August 11 at his home in the Hyde Park neighborhood of Chicago. He was 83 and suffered a stroke while battling cancer. Zellner was known for the breadth of his contributions to many different areas of econometrics. His pioneering work in systems of equations, Bayesian statistics and econometrics, or time series analysis would each have earned him worldwide recognition. “Arnold Zellner was one of the pioneers of modern econometrics,” said Eugene Fama, Robert R. McCormick Distinguished Service Professor of Finance at Chicago Booth. “He was one of the original giants in the rise of Chicago Booth to the business school research pinnacle. Arnold was a dedicated, creative, and prolific researcher for more than 50 years. He and his lovely wife Agnes have also been great personal friends,” Fama said. Zellner’s achievements include founding two major journals, organizing two National Bureau of Economic Research/National Science Foundation seminar series, and supervising more than 30 Ph.D. dissertations in economics, finance, econometrics and statistics. Zeller retired from teaching in 1996 after 30 years on the Chicago Booth faculty, but he remained active at the school until a few months ago, doing research, publishing papers in academic journals and advising students on how to achieve their career goals. An award-winning teacher, Zellner published more than 200 scholarly articles and 22 books and monographs, including An Introduction to Bayesian Inference in Econometrics, J. Wiley and Sons, Inc., 1971 and Basic Issues in Econometrics, University of Chicago Press, 1984. Bayesian econometrics and statistics uses mathematical and quantitative techniques to analyze economic problems. Zeller founded the International Society of Bayesian Analysis. In 1962, Zellner published what became one of the most cited articles in econometrics, “An Efficient Method of Estimating Seemingly Unrelated Regressions and Tests for Aggregation Bias,” in the Journal of the American Statistical Association. Zellner’s commitment and service to the econometrics profession is well-known. What is perhaps less well-known is his commitment to his colleagues and students. In addition to teaching M.B.A. courses in econometrics and Bayesian inference in econometrics, Zellner taught several Ph.D. courses. He was the H.G. B. Alexander Distinguished Service Professor of Economics and Statistics and director of Booth’s H.G. 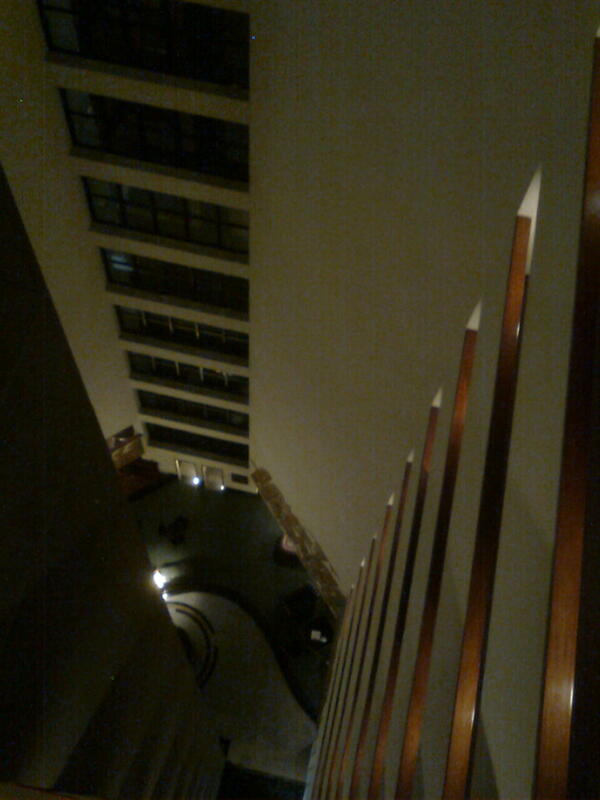 B. Alexander Research Foundation. “Arnold Zellner was a passionate teacher and was very effective in the classroom,” said John P. Gould, Steven G. Rothmeier Professor and Distinguished Service Professor of Economics at Booth. For many years, Zellner and Gould ran the school’s weekly workshop in economics and econometrics for Ph.D. students in collaboration with fellow faculty member B. Peter Pashigian. “In addition to helping M.B.A. students, Arnold was enormously helpful to Ph.D. students during his 44 years at Chicago Booth as a faculty member and an emeritus faculty member,” Gould said. Beyond his strong commitment to teaching and research, Zellner was also known for his work to solve social and economic problems such as famine, unemployment, and economic stagnation. Zellner received the prestigious McKinsey Award for Excellence in Teaching at Booth in 1984 and he established the B. Peter Pashigian Lecture Fund and Lecture Series in 2001. Pashigian was a long-time colleague of Zellner’s on the Booth faculty. Zellner was a fellow of the Econometric Society, and the American Academy of Arts and Sciences, and a distinguished fellow of the American Economic Association. He also was president and a fellow of the American Statistical Association, and was a fellow of the International Institute of Forecasters and the American Association for the Advancement of Science. Zellner began his career in 1955 as an assistant professor of economics at the University of Washington, Seattle. In 1961, he joined the faculty of the University of Wisconsin, Madison, and then moved to Chicago Booth in 1966. While at Booth he served as director of the Ph.D. program in 1969 and 1970. He was a consultant to the Federal Reserve Bank of St. Louis, co-editor of the Journal of Econometrics, and founding editor of the ASA Journal of Business and Economic Statistics. He also was associate editor of Econometrica and a member of the editorial board of the Journal of Economic Literature. He was chairman of the American Statistical Association’s business and economic statistics section and a director of the National Bureau of Economic Research. Zellner was honored as the outstanding statistician of the year in 1982 by the Chicago Chapter of the American Statistical Association. The award was in recognition of his accomplishments in both theory and application of statistics and econometrics. Zellner received an A.B. in physics from Harvard in 1949 and served in the U.S. Army from 1951 to 1953. After his military service, he earned a Ph.D. in economics from the University of California, Berkeley in 1957. Zellner received honorary doctoral degrees from Erasmus University, Rotterdam, in The Netherlands, University of Kiel in Germany, Universidade Tecnia de Lisboa in Lisbon, Portugal, and Universidad Autonoma de Madrid in Spain. After retiring from teaching at Chicago Booth in 1996, he spent winters as a visiting professor at the University of California at Berkeley. Zellner is survived by his wife of 58 years, Agnes, and their five children, David, Philip (Beth), Samuel (Tena), Daniel (Diane) and Michael (Eugenia), four grandchildren, nieces and nephews, and many close friends, colleagues and former students. A memorial service will be held on October 18, 2010 at 3:00 p.m. at Bond Chapel at the University of Chicago, 1050 E. 59th Street. Tive que colocar todo o texto. Não seria justo colocar apenas um resumo para uma carreira como a de Zellner. Mais um dos gigantes que se vai. Depois de três anos, abandonando a base em São Paulo. Sem dúvida o melhor lugar que morei até hoje. 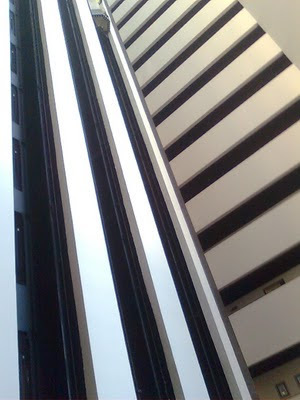 Imagine estar em um lugar que é igual ao prédio que está na capa de uma das edições do Forward the Foundation do Isaac Asimov. Com parte dos problemas de mudança resolvidos, em breve voltamos a programação normal. A firm often must ensure that products or services it produces match customer expectations. We define variability as any deviation in a production process yielding products or services whose attributes differ from the firm's stated target specifications. Firms pursuing products marked by low variability are more subject to maladaptation costs if production processes are not adjusted to avoid nonconformities. Furthermore, such adjustments often require idiosyncratic investments (e.g., dedicated information technology systems), thereby creating contractual hazards and potential underinvestment. We hypothesize that ownership of sequential activities in the value chain helps mitigate problems associated with maladaptation as well as suboptimalities in transaction-specific investment, thereby resulting in lower variability. Using data on delivery times from the Japanese international courier and small package services industry, we assess the variability-reducing role of ownership in two complementary ways. The first approach is parametric, allowing us to assess the impact of ownership on the variance associated with delivery time; here we focus on shipments that frequently fail to arrive precisely within the time period initially expected by customers. The second approach is more consistent with the notion of reliability, or the likelihood that shipments will not arrive later than expected: we nonparametrically estimate the distribution of deviations between actual and expected delivery time, and verify how distinct organizational choices change the distribution. Ownership of multiple segments yields a particularly pronounced effect on both variance and reliability. Ownership bestows variability-reducing benefits of ownership, especially when ownership is observed in multiple stages of the value chain. Essa semana estou fazendo a mudança do flat de são paulo. E embora não tenha nenhum móvel ou coisa to tipo, as centenas de livros que estão aqui estão dando um incomodo enorme. Como meu chefe disse, não sou portátil. O problema é que essa mudança me pegou em um momento em que estava realmente empolgado trabalhando nas revisões de artigso . Na semana passada consegui dar uma adiantada monumental em dois artigos que estavam travados, e agora mais essa interrupção. Com sorte consigo resolver essa questão da mudança sem muito stress. Um dos últimos heróis vivos. Myerson, que está participando de discussões sobre o sistema eleitoral brasileiro, compara a dificuldade de criar os incentivos para uma reforma política com os envolvidos nas disputas sobre livre comércio. "As indústrias ameaçadas pela competição estrangeira têm uma ideia bem clara do que podem perder, e comunicam isso aos governos", disse ele. "Já a perda, menor em cada caso individual mas sofrida por milhões consumidores, por causa da proteção, teve de ser articulada pelos economistas". Da mesma forma, disse Myerson, estudiosos de teoria dos jogos devem se esforçar para articular e apresentar o que está em jogo para o eleitorado. O pesquisador declarou que uma de suas inspirações para entrar no ramo de teoria dos jogos foi o romance Fundação, de Isaac Asimov, "no qual um matemático cientista social salva o Universo". "Não creio que um dia saberemos o bastante para prever o futuro", disse ele, referindo-se ao poder da ciência social fictícia apresentada por Asimov em seus livros, capaz de prever os rumos da sociedade ao longo de séculos. "Mas acho que podemos, sim, evitar desastres. Não prevendo o futuro, mas projetando as regras do jogo". Minhas impressões sobre o encontro de finanças foram muito boas. Dos congressos que eu normalmente participo o encontro de finanças é o que tem a maior participação nas apresentações, e este ano foi da mesma forma. Em geral os debatedores mostraram um cuidado elevado nas discussões, o que nem sempre acontece. Também achei que o nível dos artigos foi bem homogêneo, mais do que em anos passados. Vi algumas apresentaçõs realmente muito interessantes. Os convidados deram seminários muito bons, e acho que o nível das apresentações foi bem interessante dado o alto nível técnico de algumas apresentações, como a do Gustavo Manso e a Asger Lunde. O minicurso do Murillo Campelo, que era basicamente uma aplicação de modelos de efeitos de tratamento a dados financeiros, também foi bastante proveitoso. Parabéns aos organizadores pela qualidade do encontro.